So much has been discussed in the media about improving gender diversity in organisations, but diversity of course comes in many forms. With the United Nations’ International Day of Persons with Disabilities upon us, on 3rd December, it is important to acknowledge that more than 4.5 million people in Australia have some form physical or non-physical disability. That’s one in five people. Businesses need to engage with and cater for this demographic and not just to fill an equal opportunities quota but because people with disability are a great asset to your organisation. Yet a recent study of over 1200 businesses by the Department of Social Services found that just one in three Australian businesses hire people with a disability despite most claiming they were willing to do so. So, what can you do to address this lack of diversity in your organisation? 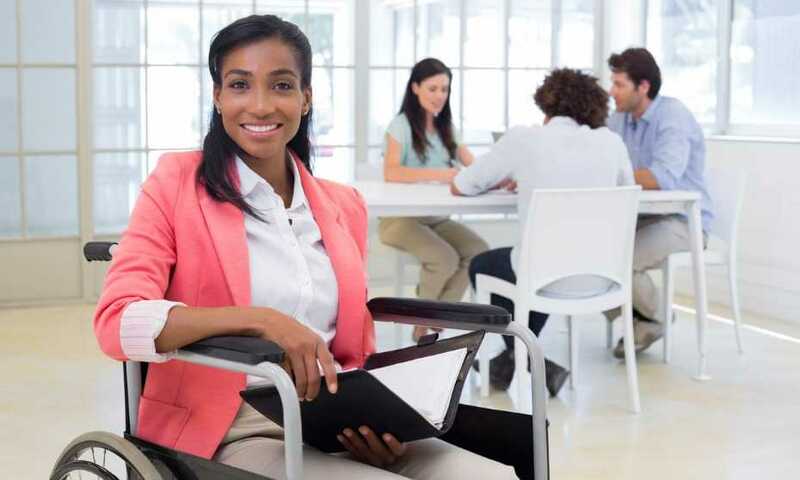 Once you have determined your workplace can provide a mutually beneficial environment for an employee with disability, it’s important to go about attracting that talent in the right way. For example, invariably when a person with disability applies for a role online, it automatically requires them to provide significantly more information before you’ve even determined if they’re suitable yet. It’s important to keep the recruitment process as straightforward and streamlined as possible. There are many ways in which you can make your workplace more inclusive and diverse by attracting talent with a disability. Some key ways are to make your information such as job ads, position descriptions and application forms accessible with alternative ways to apply for the position and, most importantly, put the candidate first, not the disability. Perhaps the biggest challenge when hiring a person with disability is educating current employees to embrace and recognise their abilities and offer assistance if required. A supportive workplace culture is just as important as any physical or technological upgrade – so employees feel safe, valued, respected and included from the start. Whilst many organisations are striving to make their workplaces more inclusive and build the skills of all team members, this isn’t going to happen if the content and learning they’re providing isn’t accessible. If you want to help your team members reach their potential, they must all have equal access to learn and gain new skills. Accessibility is more than simply offering alt text for images and transcripts for videos. It is the bringing together of several components including: developers, authoring tools, users, web browsers and evaluation tools, and using a holistic approach to create tools and content that everyone can access. Of course, accessibility is more than simply offering alt text for images and transcripts for videos. At Skillsoft we have established an Accessibility Program Office to ensure that all learners with disabilities, regardless of their company size or industry, can effectively use Skillsoft’s learning content and technology. When organisations make their recruitment processes and workplaces barrier-free to people with disability, they ensure that all potential employees with the relevant skills, qualifications and experience can be hired and do their best work. Employees with disability stayed with a company on average 4.1 years compared to 3.2 years for employees without disability. Building capability is all about growing your organisation through individuals. It’s about helping people in your team develop the skills they need to succeed in the workplace, whether they have a disability, or not. Many organisations perceive support of employees with disability to fall into the ‘too hard basket’ or too ‘expensive’ but evidence shows that employing people with disability does not cost any more than employing people without disability. In addition, the Australian Government provides funding, for eligible persons, through the Employment Assistance Fund (EAF) that is designed to cover the costs of making workplace adjustments. You have nothing to lose and a whole lot to gain by supporting diversity in your workplace and embracing employees with disabilities.